Shocked by the Genoa Bridge Collapse, motorists want to know, how safe and reliable the road infrastructure is. Some of the largest road maintenance organizations in Switzerland use the GeoTask™ System to keep track of maintenance tasks in all domains of their high performance road infrastructure. In the Lancet, the results of the RESPITE trial on the use of Remifentatnil PCA as labour pain relief were published. Thus, as compared to common practice, Remifentanil during labour could halve the number of women needing an epidural. Moreover, traumatising instrumental deliveries could be reduced. 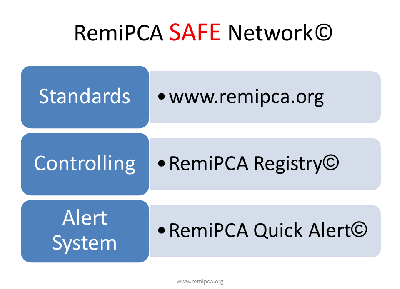 Since nearly 10 years, Condesys Consulting sponsors the RemiPCA SAFE Network (www.remipca.org) for the safe use of the Remifentanil PCA during labour. 40 clinics are part of the RemPCA network and help make this method safe for mother and child. The RESPITE trial provoked overwhelming reactions in the media. This underlines the importance of our engagement in the RemPCA SAFE Network. On February the 25th 1998, the Swiss Federal Council ordered the creation of the GIS Coordination Body. This decision was based on the analysis of all GIS projects of the Federal Government by our CEO for the Auditor General. Read the Blog of Beat Welte on inside-it.ch. 20 years ago, Dale Lutz, co-founder of Safe Software Inc brought the universal GIS tool FME to Switzerland. Dale trained me in using the brandnew FME API, so as the first FME developer outside Safe Software Inc. I could include reader and writer modules into FME. In fall 1997, I developed the FME Interlis module and made FME ready for the Swiss market. Back then, there was no FME Workbench and all translations had to be configured by using FME Scripts. Not only the graphical user interface revolutionized the use of FME. The number of supported formats and «factories» exploded to over 400 data formats and nearly 500 transformer functions. The «Swiss Knife» of data integration has significantly shaped the GIS infrastructure of the country. FME has become indispensable for countless tasks with «Small» and «Big Data» in Switzerland. The FME service provider with the longest experience in Switzerland is happy to bring its FME know-how into action for your GIS and Big Data challenges. to ask for your individual FME anniversary offer. Big Data in practice: Our customer, the Liechtenstein National Administration, presents the project "All in One" environmental data management in the Computerworld vor. Read the article by Hanspeter Eberle. Protection of the forests also includes the control of the game stock. To this end, the Principality of Liechtenstein conducts several hunting ground hikes each week, during which all wild animal observations are recorded. The wildlife biologist determines the stocks and the shooting figures for the hunt. For the game observation in the Principality of Liechtenstein, Condesys Consulting has created and successfully delivered an Android app. The gamekeeper can record his game observations far out in the Liechtenstein Alps without a network connection. In the evening, when his tablet is back on the net, he sends the data of his field trip - his "hike" for the purpose of sustainability - to the environmental data server of the Liechtenstein National Administration. Make an appointment today and let us convince you of our reference projects!